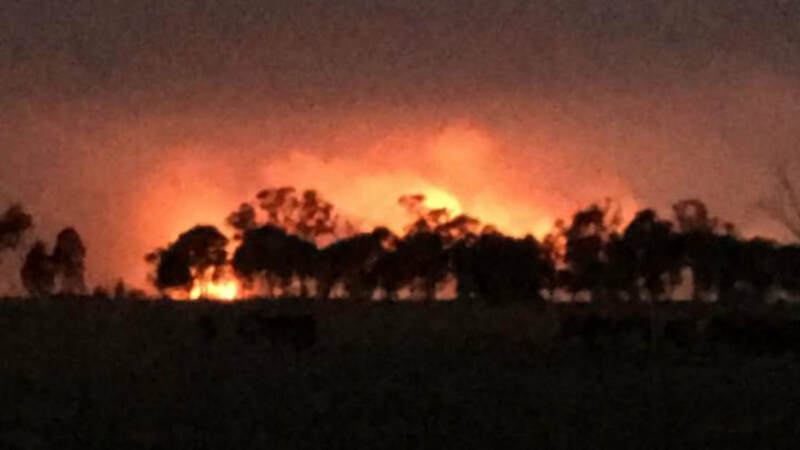 Fire fighters have been working through the night to prevent any flare-ups after bringing one of the bushfires in central Victoria under control. 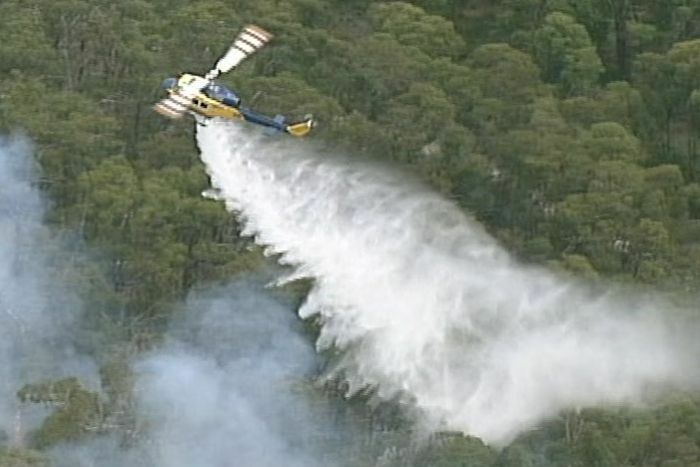 The fire at Benloch, about 80 kilometres north-west of Melbourne, was downgraded to a watch-and-act alert shortly before 16h00 on Tuesday, 15 January 2019. Shortly after 16h30, emergency services said the fire had been brought under control. The fire, which was about 25 hectares in size, was one of about 20 fires to break out in the state on Tuesday. Emergency Management Commissioner Andrew Crisp said fire fighters used seven aircraft and more than 20 fire trucks to battle the blaze. 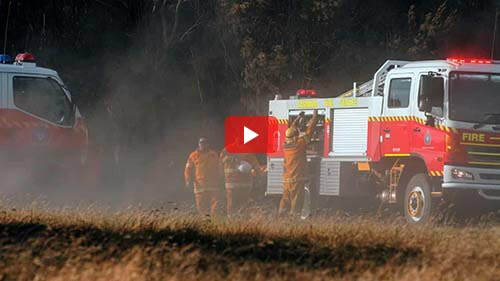 Earlier this month, fire fighters used a brief reprieve from the hot weather to try to get on top of a major bushfire in Gippsland, before temperatures started to rise again. The bushfire at Rosedale, suspected to be deliberately lit, ripped through more than 10 000 hectares of scrub and forest before it was brought under control about 2h30 on Saturday 5 January 2019. After a cool change following one of the hottest days in years, the mercury was forecast to rise to 31 degrees on Tuesday. Another cool front brought relief Wednesday and Thursday with temperatures of 23 and 25 degrees. But the fire, which is burning through a state park and pine plantation, could take weeks to extinguish. Gippsland will get a week of cool weather, before the temperature starts to get into the 30s next weekend. Fire fighters hope to have it well under control by then. "We have a window of opportunity here. Heading into next weekend there will be some quite hot weather and then probably the Monday (14 January 2019) after that will be the real test when we get to another day with that combination of hot weather and winds,” incident controller Peter West told a town meeting at Longford on Saturday. "We're here for the long haul, we'll be here for two weeks, maybe three weeks. This is a big job and you've got to put the effort in," he said. "With big fires, they're really like 1000 small fires. There are a thousand burning logs, there are a thousand burning trees. There are little spotfires everywhere and this fire isn't safe until every one of those thousand trees and logs, whatever it is, is blacked out." A watch and act warning remained in place for 14 towns around the fire for most of Saturday, before finally being downgraded to advice around 16h30. The fire sparked about 13h00 on Friday, 4 January 2019 and began heading south-east through Holey Plains State Park, before a dramatic wind change about 19h00 turned the fire east, rapidly fanning it from 700 hectares to about 10 000ha. 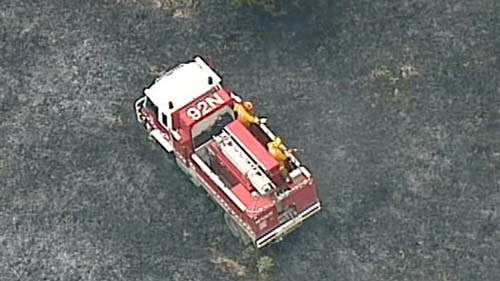 Victoria's emergency management commissioner Andrew Crisp said it was suspected the fire had been deliberately lit. At one point, the fire was burning in the direction of the Fulham Correctional Centre, with authorities stationing trucks at the prison in case the fire ended up making it to the gates. Two hundred fire fighters, supported by 11 aircraft, struggled to bring the fire under control as the strong, squally wind made things chaotic on the firefront. Early reports that 40 fire fighters were forced to protect themselves from raging flames and that a truck, trailer and bulldozer were destroyed in the fire, were later corrected. Several houses were threatened but none were lost in the fire, although a significant number of native animals are likely to have perished. The fire destroyed about $20 million worth of plantation pine, locals estimated, which will have a big effect on a logging-dependent local economy. Emergency agencies spent this week building a containment barrier around the fire, bulldozing trees and spraying fire-retardant. Then they will back burn toward the fire to cut the amount of fuel it has available. Among the planes bombing the Rosedale fire were two new additions to the fleet: a pair of helicopters specially equipped with night vision, allowing them to continue to fly when other planes are grounded. "Once the change came through at 19h00, we only had two hours left of daylight to fight the fire," said John Crane, CFA communications officer. "So we tried something new, it's never been done before because it's just so dangerous. We've been training for two years so it was a significant achievement for fire services". The Rosedale fire was the largest of more than 200 that burnt across Victoria on Friday, as high temperatures and fast winds combined to apply a blowtorch to the state. Melbourne recorded its hottest day in five years with a top temperature of 42.6 degrees. The other major blaze, a 64-hectare fire in Strathbogie, near Bonnie Doon north of Melbourne, is also believed to have been deliberately lit.